Navigating real estate is not easy. 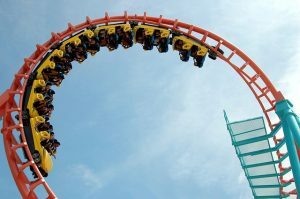 Whether you are buying or managing your investment portfolio or buying or renting a family home, it’s a bit like a rollercoaster with plenty of ups and downs. There are many people out there who may encourage you to go for the ride, but very few who are prepared to buckle up beside you and see it through to the end. When it comes to property and selecting a consultant, you need someone who will be there for every turn – and here’s why. Property investment can be filled with risk. Or, it can be a very safe investment. Most times ‘luck’ with real estate is not luck at all. It comes down to the depth of research you are prepared to do; having the right advice, and making smart choices. There are many choices you need to make as a homeowner well after the selection of the right property is made. This includes tenant care and selection, rent collection and home maintenance, Choices which at many points can change an easy investment into a challenging one. The key to a smooth ride is remembering that residential property is a people business. For the term that you own that property, you as a homeowner will be reliant on the goodwill of others to ensure your success. All along the way, you will need to be investing in people – in big and small ways. From the financial adviser to the sales agent to the property manager, and every homemaker who lives in your home. Buying or Renting a Family Home (The Homemaker). For homemakers, getting the right help to find the right home is just as important. Whether that’s moving into a rental property or a home you’re going to own. It’s easy to go out house hunting with a long list of wants. Bedrooms, garages, pools, air-conditioning, screens, fans, fences are all frequently on the list of expectations. It’s equally easy for a consultant to ‘sell’ you a property from this wants list. Trusting someone to do the right thing for you and your family on a broader level is another matter altogether. What’s most important is that your needs are met. Not only financially, but emotionally too. Communicating your goals and expectations to the consultant can help. A great consultant listens to your wants. Then they dig deeper to find your needs and offer advice based on what’s best for you. Finding someone with a good amount of both broad and specific experience can enhance outcomes for you. Along with someone who has a great understanding of the market you are entering. Can I verify their advice myself? There should be plenty of evidence to back up the advice of your consultant which you can readily find yourself. This is especially crucial when it comes to buying property. It’s also a great idea to bounce their advice off someone else whom you know and trust. You can ask yourself – has the consultant taken the time to get to know me as a person? Do they have a good handle on my financial goals and long term plans to be able to give an informed opinion on my needs? The best advice is always unique to you and your situation, not a ‘one size fits all’ affair. So if real estate is the rollercoaster, then your consultant is somebody you feel is beside you. How do you know they’re there? Because they are not driving their own agenda without knowing yours. They are invested in you. They are out there and it’s worth taking the time to find them.